Just love this Sweet Scoops set. This was one of the cards from our May Card Club. Brand New Items just went to the clearance rack! More Sneak Peeks of the Summer Mini Catalog! This will be one of May's Card Club Cards. I took the template from a sample card that Lisa Fast made at Convention last year. Just love the folds. This is the King of the Grill stamp set. Just love this masculine card! I used Soft Suede and Creamy Caramel with Confetti White Card Stock. Here are the card club cards for April. This month is a little off schedule due to the Easter holiday we are a week behind. It was a nice little break though. The set above is called Greenhouse Garden and is on sale this month only! It's a 2 step stamp and I love to 2 step stamp. I used Confetti White Card Stock, So Saffron and Not Quit Navy. This card was made using the Big Shot. Love how wonderful these Daises are layered on top of each other. Each club member had the choice of which color they wanted to use. The choices were Almost Amethyst, Apricot Appeal, Barely Banana, and Close to Cocoa. All four of these colors were chosen before the new Color Renovation was announced but I'm so glad we are using these retiring colors. I still love them. If you love them too be sure to purchase them before June 30th. 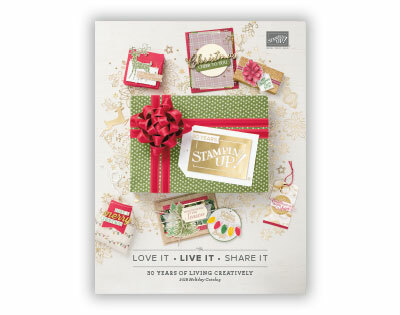 I used the Trendy Trees stamp set for the sentiments since it's on sale this month! Of course the flower centers and background were made form the Perfectly Polka Dots Embossing Folder. Do you want to make cards like these? Join the card club! 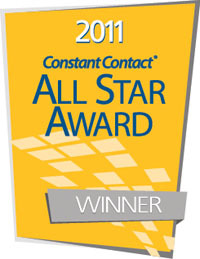 Contact me for more information...stampinred@comcast.net. This card was cased from my upline. Club members saw this card on display at my house and asked to make it...you got it! This card I made during our blizzards this year. We are finally getting to make it! This Sending Love Designer Paper and brads will be available until the end of the month. Can you see the Crystal Effects on top of the cherries? I used a toothpick to place the crystal effects on the cherries after I colored them in with markers. I hope you enjoyed this month's cards. Just a friendly reminder that my Brand New Card Club begins on Sunday. Here is what we will be making. If you want to join us, sign up on my Class/Event Registration Page. On this card I prefer the choc chip corduroy brad but didn't have enough to cover the whole club so I substituted the 1/2 pearl. Another hint: Use the small end of the stylus to push the ribbon thru the holes. It makes it so much easier. Now, Don't forget....All these cards will have Tutorials included on our CARD CLUB BLOG. You are only able to access this blog if you are a CARD CLUB MEMBER. Don't miss out Card Club is so much fun. I have long distance and local options. Plus 5 FREE TUTORIALS FOR JOINING! My Local and Long Distance Card Clubs begin March 1st. If you are interested in signing up and just haven't done it yet I encourage you to not miss out. Anyone who signs up will receive via email the 5 Good Friends Stamping Tutorials. • You are the hostess one month and will receive benefits from all the orders placed in your club. • You will receive free shipping for your club month. • You will receive $10 in free merchandise for each outside person who joins club. • You will receive all catalogs, mini catalogs, etc for FREE. • You will be able to host a workshop or a virtual workshop during your hostess month. To bump up your hostess benefits. 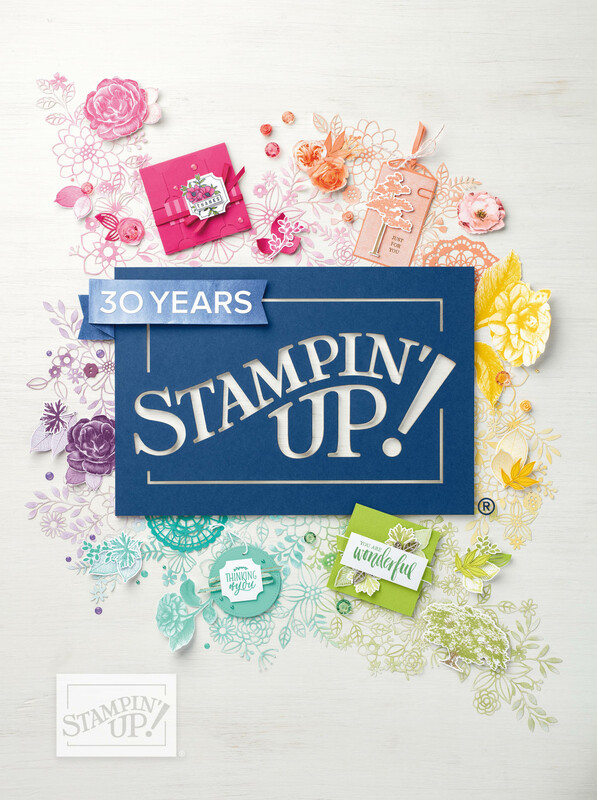 • Basic hostess benefits are $20 in free merchandise and One Free Hostess Stamp Set. Good friends are hard to come by, but celebrating them is easy. Join the club and you will be able to create a beautiful bundle of projects you can give to the good friends in your life. These projects feature On Board chipboard, Designer Series paper, and our latest In Colors—available for a limited time. Don’t miss your chance to make these adorable projects!